Behind the Gucci revolution, a new vision. Eclectic, contemporary, romantic—creative director Alessandro Michele is telling a different story about the brand. Celebrating individuality, the allure of the undefined, Gucci maps an emancipated sexuality. Designed with passion and authenticity, the House’s attitude is a feeling of freedom. 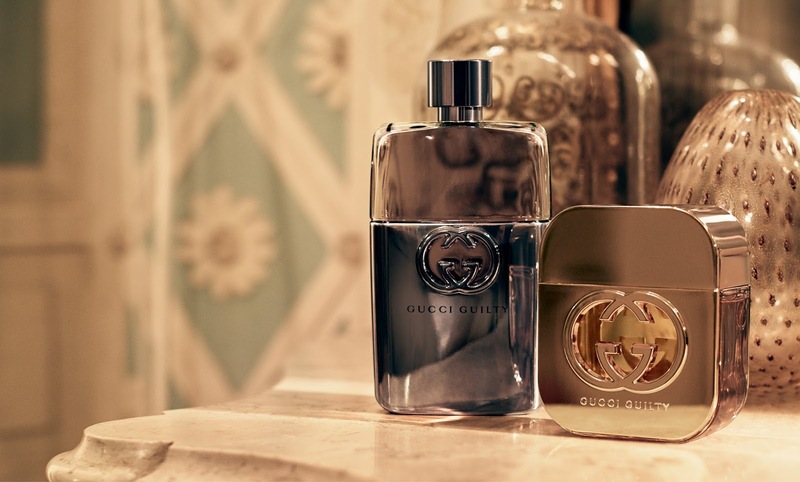 Beginning on the runway, this story has flourished in every piece of the brand, and now it transforms Gucci fragrances, starting in September 2016 with its most successful signature scents: Gucci Guilty for him and for her. The generation that inspires Alessandro Michele is characterized by a celebrative anarchy. They don’t believe in conformity, submitting to labels or to gender rules, breaking free from common social boundaries. They express themselves however they want, with whomever they want and passionately explore whatever they want. They are hedonistic without apology and indulge in life’s pleasures without feeling guilty. They experiment and enjoy because they feel completely free. This modern declaration of self expression and sexuality ignites the new chapter of Gucci Guilty. It sparks the campaign’s powerful statement: #GuiltyNotGuilty and its liberating concept, following three characters revealing in a new dawn of sexuality, emancipated from expectations and rules. Pivotal to evoking Gucci Guilty’s new narrative is the campaign’s setting. Chosen by Alessandro Michele, Venice hosts the oldest carnival, a stage that gave rise to Europe’s pleasure-seeking and debauchery of the 18th century. A city that throughout its past allowed people to be eccentric and transgress society’s norms, its liberated aura still circling its streets today. From misty cobbled alleyways to the faded opulence of the baroque palace where Gucci Guilty’s new dawn unfolds, Venice is a spellbinding backdrop of beauty and mystery. Director and photographer Glen Luchford captures this mood. Filmed as a set of flashbacks, the campaign builds sensual intrigue, showing the before and after of an intimate experience shared by Jared Leto together with models Julia Hafstrom and Vera Van Erp. The trio explore each other and their surroundings in a liberated expression of sexuality. On set, the Oscar winning actor captured some of campaign’s dreamy scenes captioned with hashtag #GuiltyNotGuilty to millions of followers in an exclusive takeover for Gucci’s Snapchat. Under the #GuiltyNotGuilty light, the original Gucci Guilty fragrances embody the new edge of the brand. They signify freedom, by breaking with traditional male and female fragrance ingredients. Gucci Guilty for Her is defined by a signature Fougère accord of geranium, commonly used in men’s scents, while at the heart of Gucci Guilty for Him the floral, sensual Orange Blossom doesn’t conform to a classic male fragrance’s notes, heightening the scent’s allure. Intimate and magical Lilac flower laced with Amber in Gucci Guilty for Her radiates warmth and grace with a powerful lasting impression. This is a fragrance created for a libertine. Gucci Guilty for Him opens with invigorating Lemon, and is intensified with seductive notes of Lavender and Patchouli.